Check you owner’s handbook to find all the equipment your need. These are the spare tyre, a wheel brace and a jack. The provided jack is often not very easy to use. We recommend getting a longer one for more leverage. When you come out to your vehicle in the morning and you find that the wiper blades are frozen to the windscreen, it is important that you free it from the windscreen before you turn the windscreen wipers on. 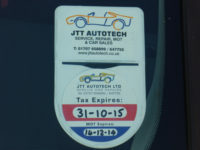 JTT Autotech have come up with an innovative new use for everybody’s tax disc holder, now that the Government have decided to scrap the paper tax discs. Do you know when your vehicle tyre has become illegal? Do you know what pressure your tyre should be at, and how to change the pressure? 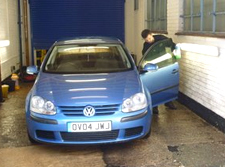 JTT Autotech are delighted to announce that they will be providing a free vehicle valet service to all customers.They have constructed a special ‘Valet Bay’ purely for this purpose. 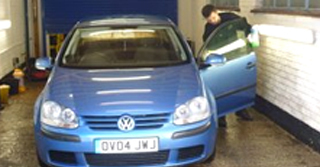 We regularly get people asking us if a local car repair centre is able to provide the same sort of quality which people have come to expect from authorised dealers. Many people typically believe that a local dealer might have lower overheads, but that main dealers will have superior diagnostic equipment as well as staff who have undergone better training. Obviously there are times when this might be the case, but it’s not always the case. 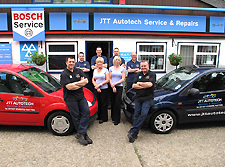 For example, JTT Autotech provides the same level of service as any main dealer, but at a fraction of the cost. How exactly are they even able to do this?